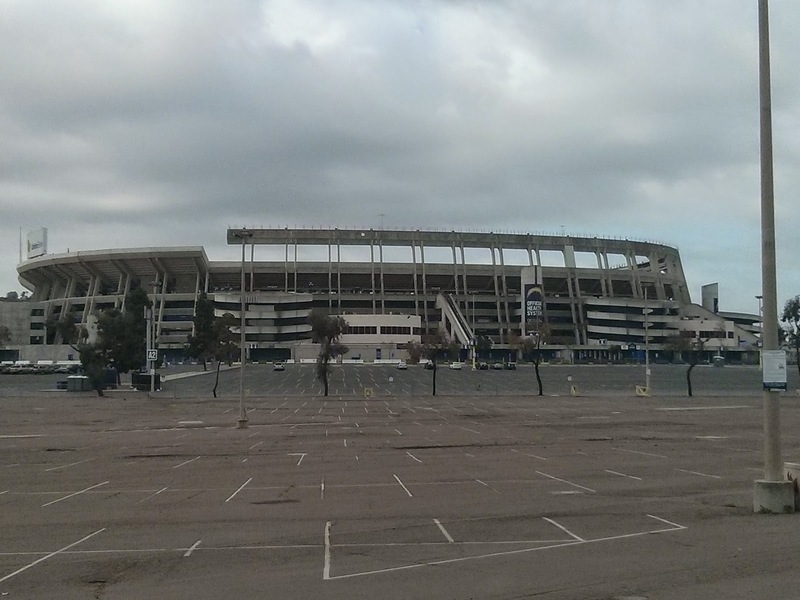 Qualcomm stadium is a big part of San Diego's identity but may soon be underutilized and difficult to sell. If a new stadium is approved this will leave a very large stadium facility in the prime location of Mission Valley with only a few feasible options. Most of these options are likely to include destroying the stadium and finding a new use for the prime estate. A few ideas have been floating around. The movement downtown is anything but certain. MTS’ chief executive, Paul Jablonski, in a letter to the Mayor Kevin Faulkner's task force outlines that building a new stadium is impractical at best and would be nearly 10 years out before completion (2). The proposal is to include an expansion on the convention center and obtain parts of the MTS bus yard. In the scenario where a new site for the Chargers is settled upon this would leave the old Qualcomm stadium up for grabs. The problem is that there are not a whole lot of entities around San Diego that would have a use for such a stadium making it more likely to be razed to the ground. This would leave a prime development spot right in the mix of upscale Mission Valley. According to a Fox 5 article Senator Marty Bloc would like to see the stadium redeveloped into a housing community for San Diego State University. Easy access to the trolley would be beneficial for student access to the university (1). The funds for that project have not yet been worked out and university leaders may not bit. The ideas are still in toss up phase. Traffic has been cited as one of the major concerns. The stadium has received tens of thousands of visitors and has at least two egress points with one leading to the highway and the other leading up a large hill. There is the potential to create new egress points as access restriction is no longer needed when a new use has been found. -Residential: Whether it is student housing or a new residential district reducing the pressure on housing right on a trolley line and near highways is solid use of infrastructure. The blank slate allows for the creation of multi-unit dwellings that maximizes space and neighborhood quality for students or families. -Refurbishing for Chargers: There is always the possibility of saving some money and refurbishing the stadium for the Chargers by improving on its layout. This would mean there isn't a new stadium downtown and the taxpayers would need to flip less of the construction bill. -Multi-Use Site: If no one wants to develop such a large site it is possible to sell off sections for different types of buyers. You may end up with a residential area, a business district, and a couple of other uses on the old site. -Maintain the Stadium for Other Users : The site could be turned into a new race track, a recreation facility or other use. It may be too much upkeep costs for this type of use and its profit potential would be difficult to maximize. -Manufacturing: The building could be razed and the site sold to a manufacturing facility that would bring new jobs to San Diego. The site would have easy access to highways. A manufacturing site could include autos, prefab housing, recreational crafts, robotics, or other industrial projects.